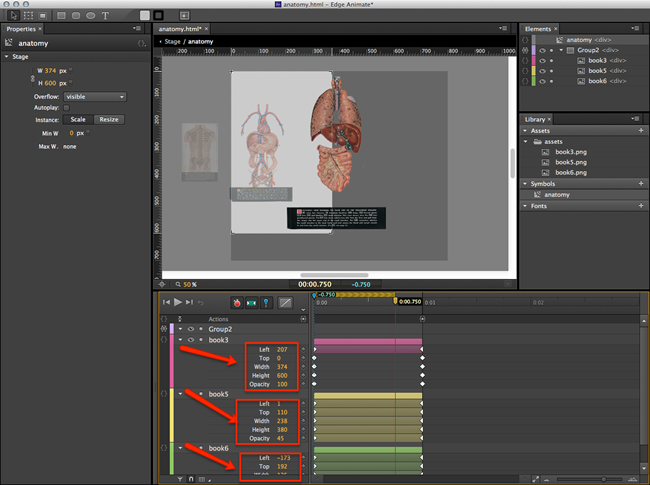 As I mentioned in my last post, I’ve been working a lot lately with Adobe Edge Animate, Adobe InDesign, and Adobe DPS. Here’s another post on that same subject. 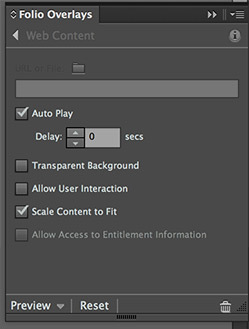 Another request that I have gotten from some of our DPS customers is that they’d like to be able to implement gestures inside of the Edge Animate compositions that they are building for DPS publications. This includes double-tap gestures, swipe gestures, etc… Out of the box, these gestures aren’t supported, but you can add them to any Edge Animate composition without too great of an effort. Below is a quick video showing Edge Animate Compositions that are taking advantage of both double-tap and swipe gestures. Note: I intended these to be used inside of DPS, but I show them in Safari on iOS. These gestures override the default mobile browser behaviors. As I mentioned above, this isn’t something that is supported out of the box, but it is possible to add gesture features manually. For the double tap example, just perform a double tap/click gesture anywhere on the stage (the image area), and the animation will start again from the beginning. 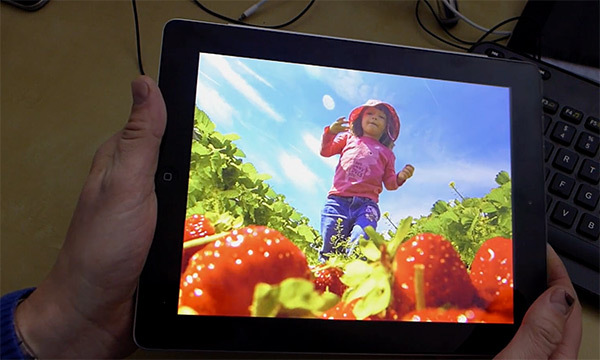 For the swipe gesture, just perform a horizontal swipe in either direction with either your finger, or the mouse. I used this exact setup procedure in both the double-tap and swipe examples. To include this library, I first downloaded the hammer.js file, and saved it inside of the “edge_includes” folder. Next, we have to add the code inside of the Edge Animate composition to enable the gesture behavior. The first thing you have to do is include the hammer.js library. In this case, I wanted to add the gestures to the composition’s stage, instead of a particular element. 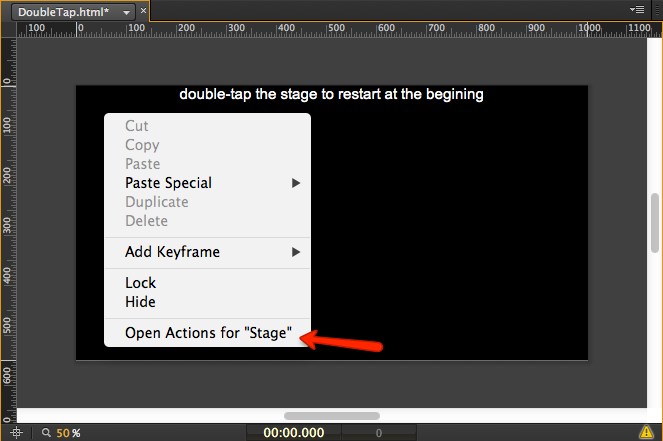 So, right-click on the stage in the Edge Animate Editor, then select the “Open Actions for Stage” menu option. 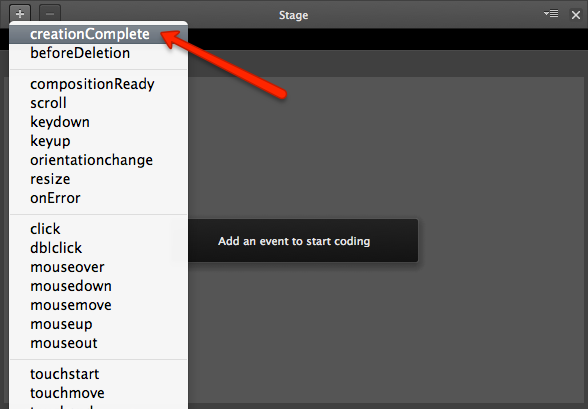 This will open the actions for the Stage instance. Next, click on the “+” icon and select “creationcomplete”. This will create a function that gets invoked once the Stage instance has been created at runtime. With the swipe gestures, you can get some drag event conflicts on mobile devices. If you run into this and you do not want the page to scroll, the scroll action can be prevented by capturing the touchstart event, and canceling the default behavior. I didn’t add this, just because I wanted to keep this example very simple. 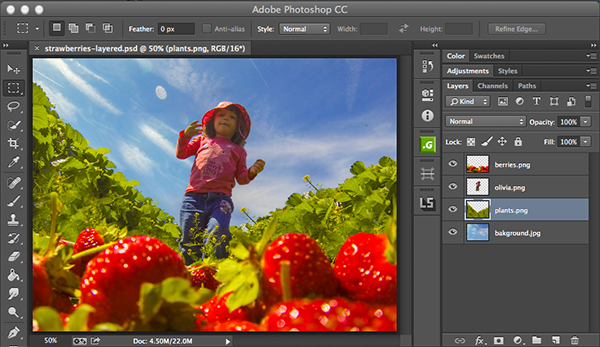 Artwork used in these examples is from the Adobe MAX web site. You should attend MAX, it’s going to be awesome. When you publish the composition from Edge Animate, the “hammer.js” file won’t be copied automatically, so make sure that you copy it to your publish directory before distributing the composition. 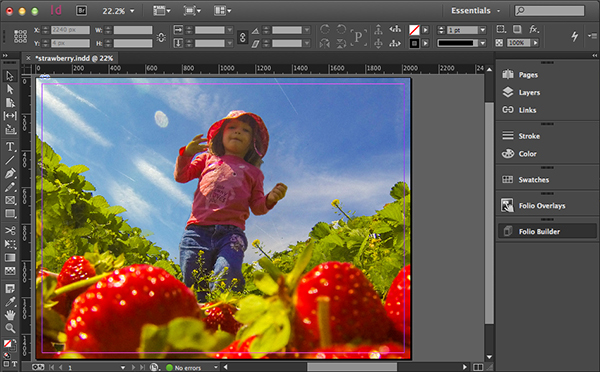 Lately I’ve been spending a lot more time working with Adobe Edge Animate, Adobe InDesign, and Adobe DPS. 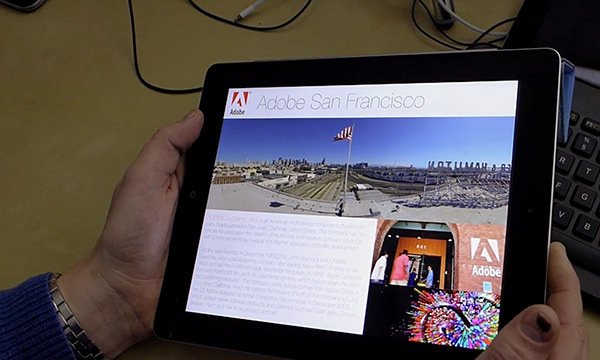 If you aren’t familiar with these tools, Adobe Edge Animate is a tool that enables the creation of animated or interactive HTML content, Adobe InDesign is a desktop publishing design tool, and Adobe DPS is Adobe’s Digital Publishing Suite, which is used for creating digital publications from InDesign – everything from digital magazines, catalogs, corporate publications, education, and more. 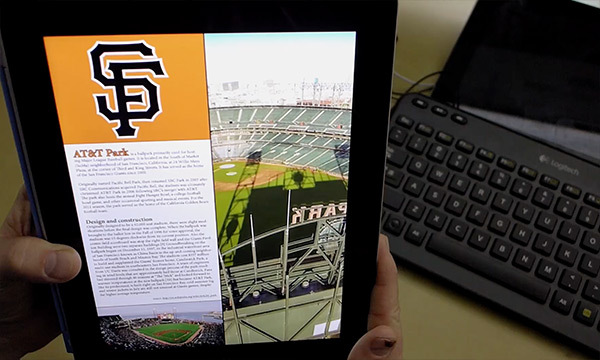 In DPS publications, you can add interactive content inside of your digital publications by leveraging web content overlays. Web content overlays enable the embedding of HTML content directly inside of DPS pages. So, you might be wondering, how does Edge Animate fall into this grouping? Well… From Edge Animate you can export compositions into a .oam package, which can be imported directly into InDesign for use with a web content overlay. You can read more about this process on Adobe Developer Connection. These can be great additions to the interactive experience, but I also wanted to share that you don’t always need 3D transforms to add dimensionality to an interactive experience. By leveraging 2D translation, scaling, and opacity you can easily create interactive experiences that have a feeling of depth. Let’s take a look at a quick example. The image below is from screenshots of an Edge Animate Composition that I put together. On the left-hand side there is an anatomical illustration. On the right-hand side, that illustration has been broken out into separate layers, with emphasis placed on the topmost layer. Images borrowed from Ely Greenfield’s awesome FlexBook anatomy demo. Now, let’s look at that animation in action. Just click the link below to preview this animation in a new window. Just click or tap on the image to see an animation that transforms the illustration on the left to multi-layered cutaway on the right hand side. First, there are 3 images. The bottom-most image shows the skeletal structure and body outline. 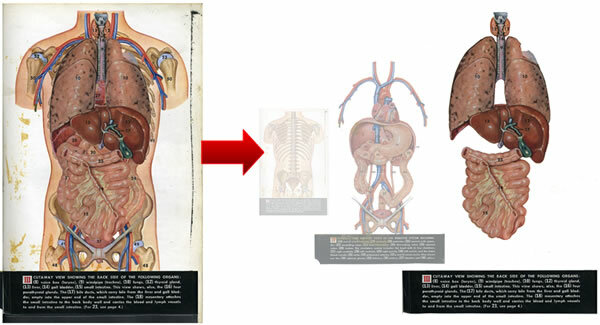 The middle image shows parts of the digestive system, and the top-most image shows another layer of major organs. The top 2 images have transparency so that they do not completely hide content from the underlying layers. The default state is that all of these images are aligned so that they appear as a single image. Once you click/tap the image, a set of two-dimensional animations take place providing a sense of depth and emphasizing the top layer. The underlying layers have both a scale and opacity change. The bottom layers are smaller, and less opaque. The underlying layers also have a two dimensional (top/left) transform. In this example, I’ve tried to align both the scale and top/left transforms to correspond with a 3D point of origin to the left side. This technique provides the illusion of three-dimensional depth, even though we aren’t actually performing any kind of translation, rotation, or deformation on a three dimensional coordinate system. AND this can be implemented completely with the timeline. So, you don’t have to be a programmer to add a dimensional feeling to you Edge Animate compositions. 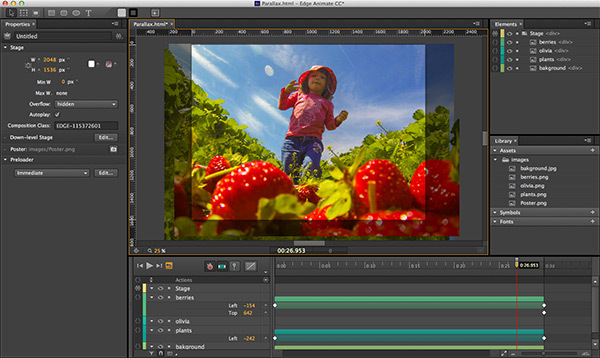 This effect was achieved simply by using the timeline editor and visual workspace.